Amazon has launched a new service that allows Twitter users to add items to their shopping cart without leaving the microblogging platform. 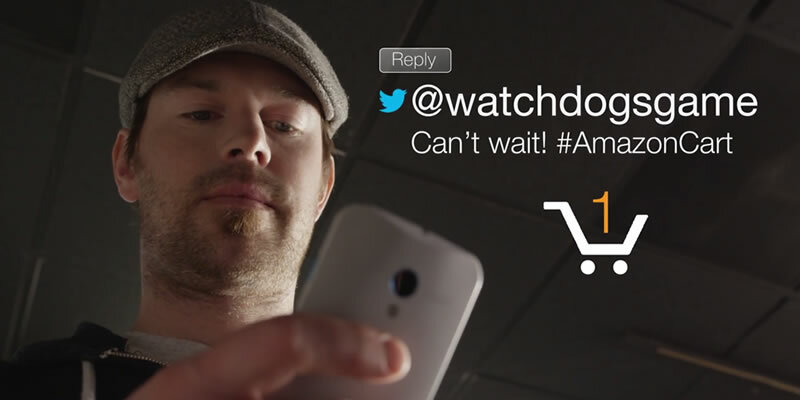 Think of it as a bookmarking service for Amazon via Twitter. To use, you’ll first need to connect your Twitter account to Amazon. Once complete, simply reply to any tweet that contains an Amazon product link with the hashtag #AmazonCart if you are in the US or #AmazonBasket for those in the UK. Said item will then show up in your shopping cart the next time you visit Amazon. You will receive a Twitter reply and an e-mail regarding the status of the request – whether the item was successfully added to the cart or if it was out of stock, for example. And since most content on Twitter is public, #AmazonCart replies will be visible to whomever you replied, to those viewing the conversation and on your own Timeline (unless your Twitter account is set to private). At first glance, this may seem like a convenience for Amazon and Twitter users but then again, how often do people you follow actually post links to products on Amazon? And furthermore, how often do you make a decision on whether you want to buy something or not based on 140 characters? While I’m sure some will get some mileage out of this, it certainly seems aimed at advertisers / big businesses looking to promote their items and especially, affiliate marketers.